I found Just Liv's shop on Etsy. 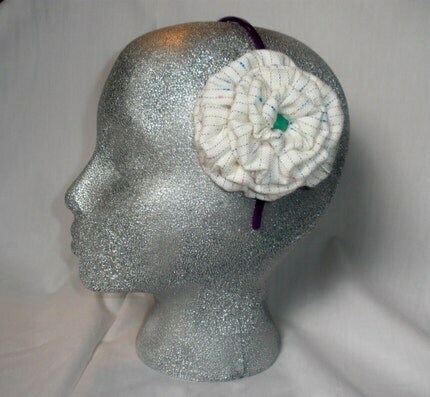 She makes awesome fabric flower headbands (and other pretty hair accessories). What's even more fly about these headbands is that the flowers are made of fabric. I luv it and can see myself rockin these this summer. Most of them seem to be going for around $20 to $25. If you're a crafty sucker like me, you're going to try to make your own today out of old t-shirts. The scoop on this will be posted up on my creative blog, Styln N Profyln some time this evening or tomorrow. This is really cute! A cool spring accessory! I know, aren't they fabulous!